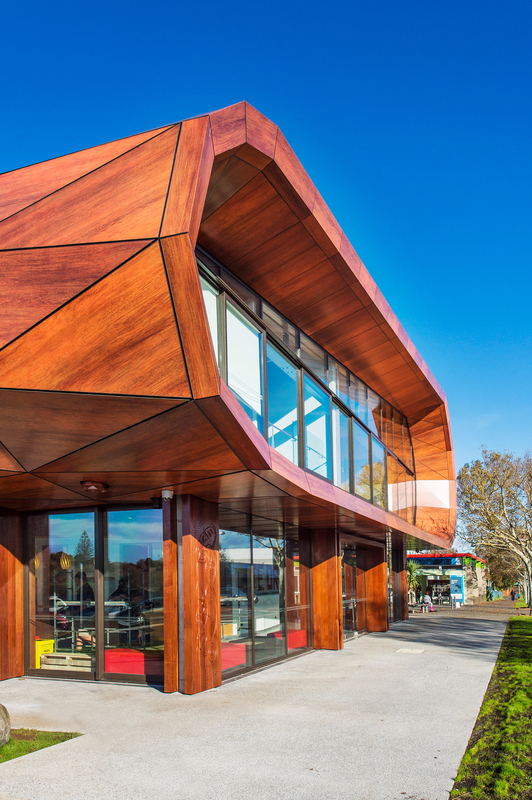 The new music and arts center, Te Oro, in Auckland, New Zealand combines ancient Polynesian and Maori culture with modern Alucobond aluminum composite material. The name, Te Oro, refers to the natural acoustics made from a nearby volcanic peak known as, Maungarei / Mount Wellington. Wind blows across the 440-foot volcanic peak creating the reverberation the building is named after. The shape of the building even resembles a giant wind instrument; symbolic for the ethnically diverse communities it serves. Inspired by community gatherings to share knowledge sheltered by groves of trees, the team of local artists, environmental engineers, landscape architects, and architects at Archimedia conceptualized a skeuomorphic design. By resembling a grove of trees through the floating canopy of geometric aluminum cladding, the new design affords comfort by resembling how communities once congregated to be culturally and creatively productive. Skeuomorphic design takes some semblance of the old and makes it new, making the striking building authentic in its execution. 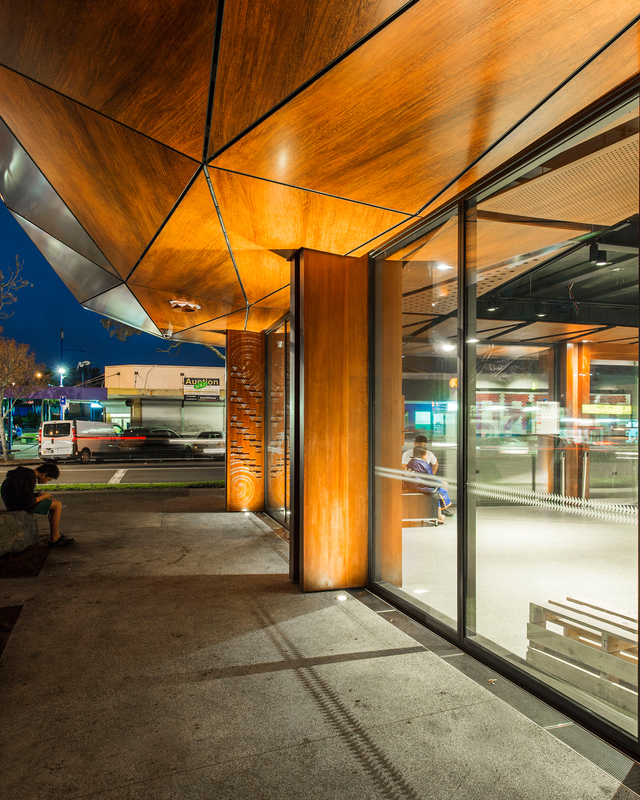 A tubular canopy with geometric aluminum composite cladding panels – representing leaves – sits above several columns resembling tree trunks. Each pillar is detailed with culturally significant carvings of Manaia, or a mythical creature in Maori culture. The figure-eight shape featuring the head of a bird and the body of man is widely used as an architectural detail and – in this case – represents trees within each cultural group. Natural light floods in through transitions between the three sections of roof. The upper level is comprised of both laminated veneer lumbar components and Alucobond aluminum composite material with a lumber finish. 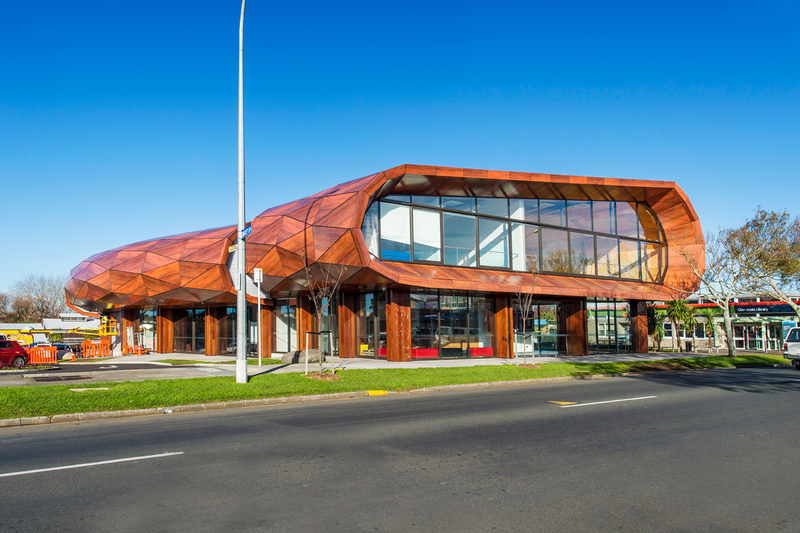 The visual concept of the upper level cladding goes even further to mimic Polynesian fiber binding patterns as a metaphor for the hybrid of both Polynesian and Maori cultures. The ground level is flush with glass walls and partitions, mimicking a pavilion building, and uniting internal spaces with exterior views. 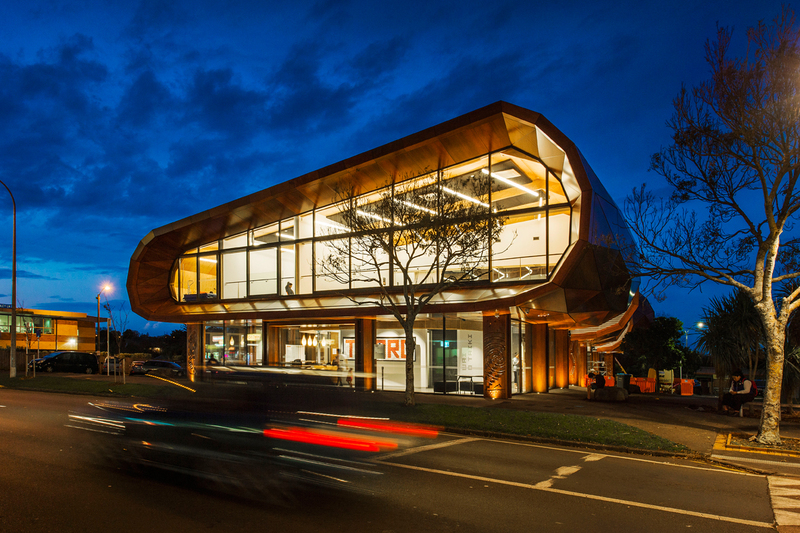 The interior is meant to flow seamlessly from ground level to upper level without distinct hierarchy, while the exterior landscape combines four facilities: Te Oro, Ruapotaka Marae, Glen Innes library, and a Community Hall. The venue is intended for events, but equally important it is a space for ancient Pacific culture and heritage to be celebrated. 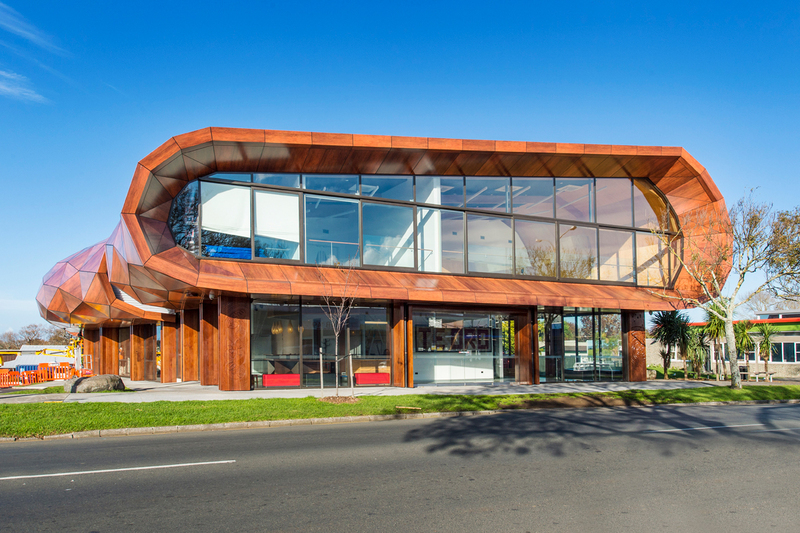 Te Oro, in its symbolic form of a grove of trees, achieves a form worthy of its function: performance, events and learning activities for Polynesian and Maori culture.